The Rabo Adikwu judo clinic was conducted at White Dragon Judo Club on July 20, 2013. The clinic was split into two sessions. The first session covered technique. Despite his strong Nigerian accent, Sensei Adikwu’s instruction was simple and easy to understand. He stressed good newaza combined with a strong tachi waza game. The junior judokas had a lot of fun and learned a lot at the same time. The second session was directed towards advance students and ended with a long randori segment. 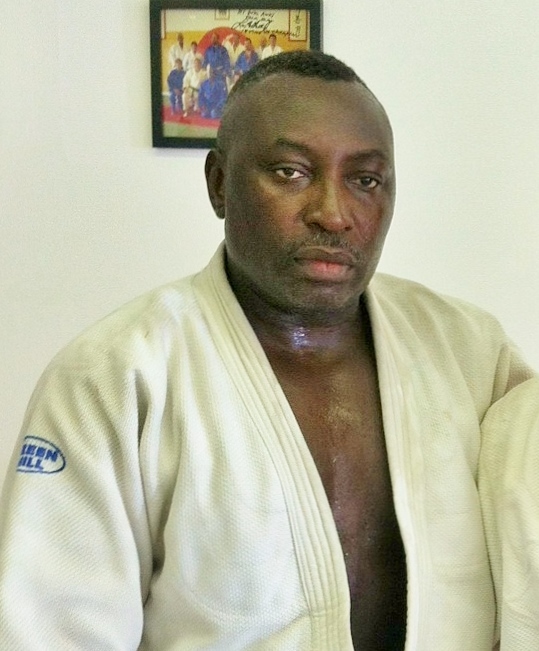 In this session, Sensei Adikwu demonstrated his strong kumi kata that applied to today’s competition judo. 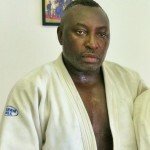 In conclusion, everyone got a great workout and improved their judo game significantly through Sensei Adikwu’s instruction. 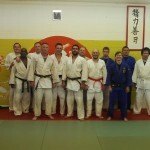 White Dragon Judo Club was more than happy to promote Alonso Bussalleu and Gregory Gordon to Sankyu on June 27, 2013. Alonso Bussalleu is from Peru, where he started his judo journey and has been practicing judo for 4 years. He is currently a biology student at the University of Missouri-St. Louis (UMSL). 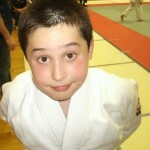 Gregory Gordon has been in judo for 3 years. He is a member of the United States Marine Corp. Gregory made a statement at the 2013 Tennessee State Judo Championship with a 1st place finish in his division. Both judokas have shown vast improvement in their judo and you will more than likely see them at the upcoming judo competitions this year. 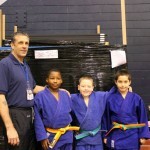 Congratulations to our recently promoted judokas. The 2013 USJA/USJF Junior National Judo Championships got underway at Robert Morris University on July 6, 2013. 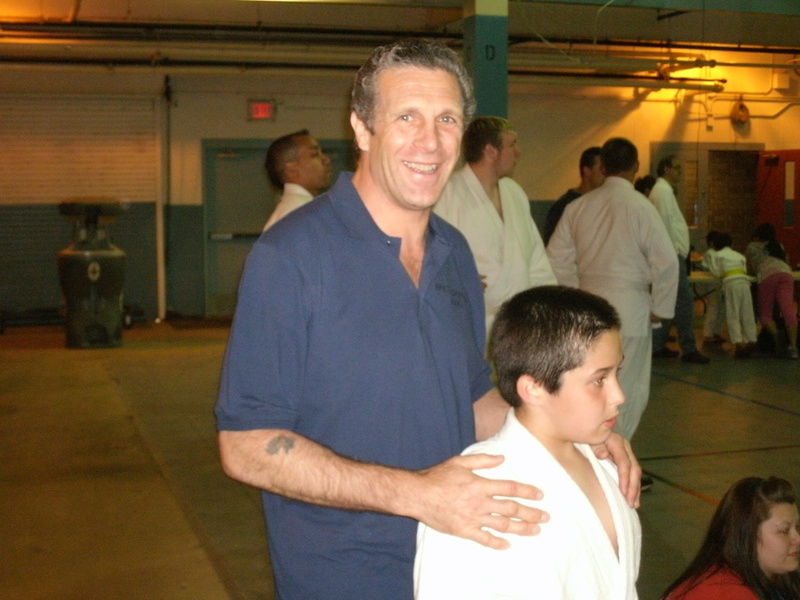 Coaching his 7th Junior Nationals, Derick Wellman brought a talented trio of judokas to Moon, Pennsylvania to challenge the future of USA Judo. In the middleweight division, Devin Busch displayed an crafty strategy but fell short of scoring a medal. Anthony Darevsky fought in the heavyweight category. Anthony got off to a good start by winning his first contest but lost a hard fought match in the semifinal which eliminated him from medal contention. Koreyon Harris competed against the super heavies and was not taken lightly. 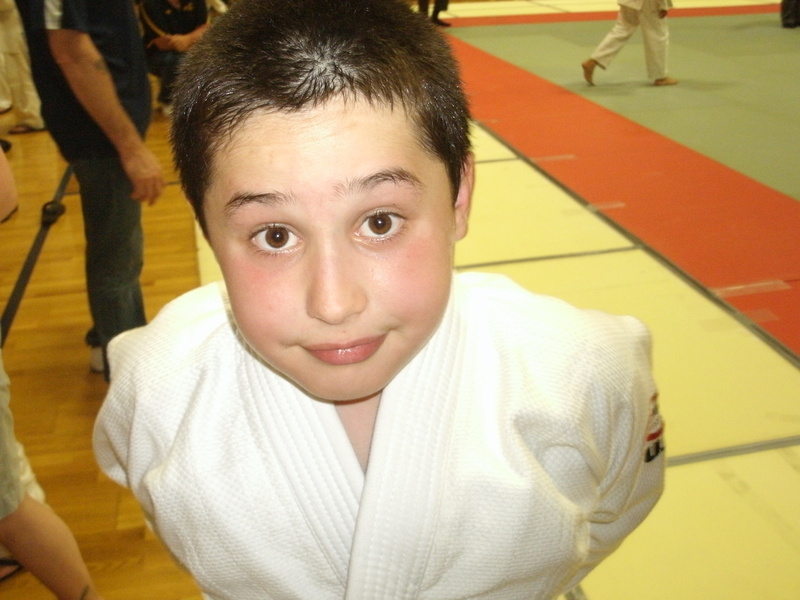 Koreyon scored a silver medal making him the first junior judoka to medal for White Dragon Judo Club in 4 years. The annual Tohkon Classic took place on June 1, 2013 at the Oak Lawn Community Pavillion in Chicago, Illinois. Derick Wellman brought Team White Dragon into this tournament with heavy momentum. Curtis “CJ” Wright continued his comeback journey with an awesome 3rd place finish. Issac Valdez Soto took bronze in the junior boys 5-6 heavyweight division. 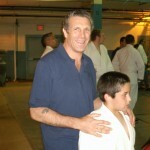 Anthony Darevsky endured a tough well skilled division. He went 3-1 on the day and took silver. White Dragon junior National team member Devin Busch scored his second consecutive gold medal in recent months. In the senior bracket, Anthony Weeks continues to improve despite facing an overwhelming opposition. He placed 4th. Adnan Gutic had an terrific day going 5-1 with silver medal showing. In the masters division Demonn Smith took 5th in the heavyweight category followed up with a 4th place showing in the open division. Dan Raney was most impressive going 3-1 on the day and taking silver in his division. 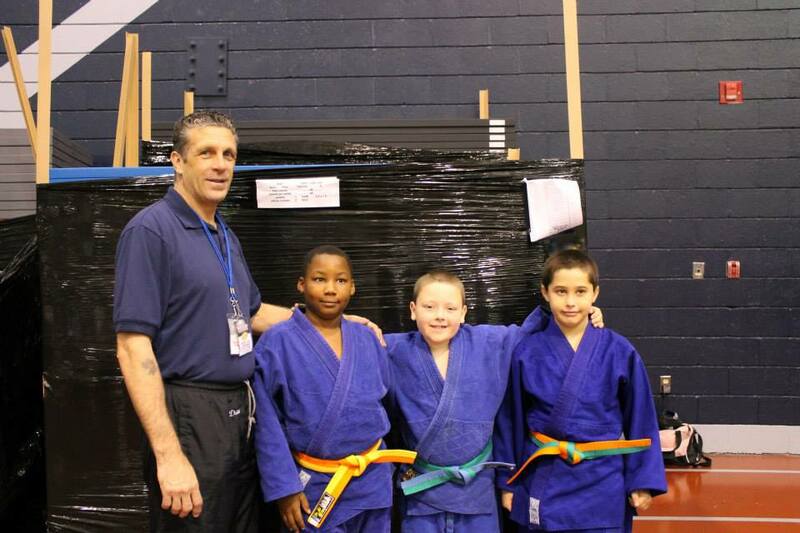 The 29th North/South Judo Tournament took place at the Family Sportplex in Belleville, Illinois. 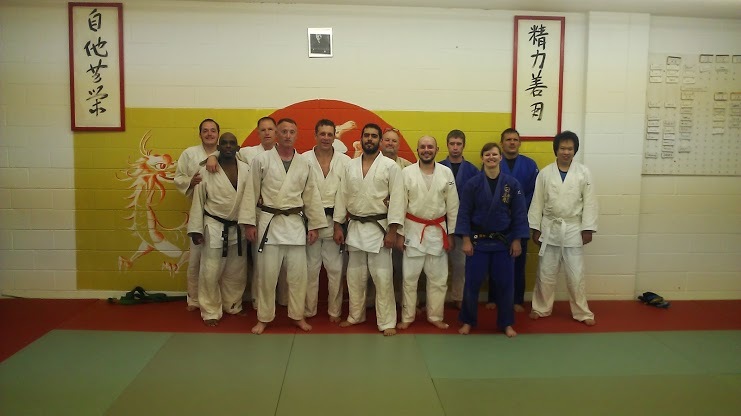 Master’s judokas Dan Raney and Demonn Smith were selected to the South judo squad in the team competition. The North squad pulled out a close match against the South to keep the coveted trophy on the Illinois side of the Mississippi River. Derick Wellman coached a very talented group as all members of his team medaled. Issac Valdez De Soto looked exceptional in his matches and continues to get better. He took silver in his division. Connor Ross made his tournament debut with a promising third place finish. Junior Nationals bound Anthony Darevsky took silver for the second consecutive year. Koreyon Harris fought hard to a silver medal finish. Julia Greene made her long awaited return to the mat worth the wait. Julia displayed a relentless attack against a talented competition pool. The talented judoka did not waver as she took gold in her pool. A much improved Devin Busch scored gold when he won his gold medal match by yuko score. In the seniors division, Jay Baker displayed vast improvement in his judo game. He showed off some good ashiwaza on his way to a second place finish. Dan Raney executed ura nage and scored gold at 100-KG. Demonn Smith anchored Team White Dragon with a bronze medal showing in the Master’s division and a silver medal at 90KG.